Bringing a bottle of water along with you to your excursion to the park may be second nature for you, but it's often easy to forget to bring something for your furry friend to drink. And when you're at a dog park your pet will no doubt get thirsty too, especially during warm weather. Make sure your canine companion stays hydrated with one of our Fido Fountains, which is an essential addition to any dog park. The Fido Fountain is composed of a small round metal bowl that is easy to reach at their lower height, and can accommodate all breeds of dogs. The push botton at the top of the post gives you the control of the water flow at the bowl level for your pet's comfort. 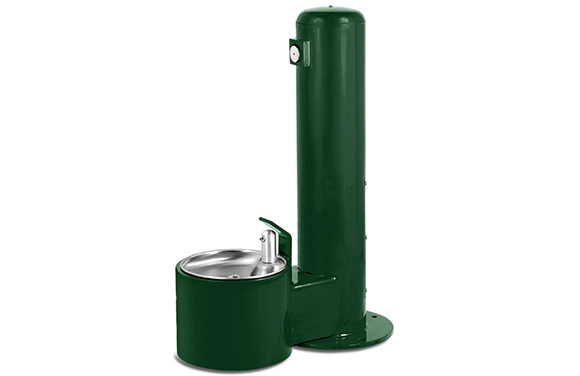 Comprised of commercial-grade steel and available in either green or tan powder-coat colors with stainless steel accents, the fountain will fit into any natural setting and remain long-lasting. 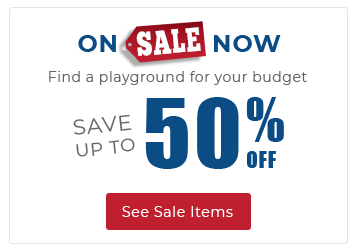 Order a water fountain for your dog park by adding this product to the cart with the botton at the left, or call 800-381-4491 to speak to a playground product specialist to discuss your needs. You can also request a free quote with the link above and we will contact you regarding your playground project.